Did you legally download a movie or video from the internet and just found out that your iPhone or iPad won’t play it because iTunes does not accept the movie? If you’re trying to drag-and-drop a movie/video and iTunes is not taking it, it is likely that the movie is not in one of iTunes supported format. iTunes currently only supports MP4, M4V and MOV files when it comes to videos. And of course, if iTunes doesn’t take it, your iOS device will not take it either unless you use an internet service to stream it. But now, that does not mean that you cannot play your MKV or any other format movies on your iPhone or iPad. It just mean that if you want to do that, you will have to use other methods. And one of the easiest methods of doing it is by using iTunes. By using iTunes, you can save the movies in your device’s internal storage and won’t need to stream it or waste a bunch of time converting it into an iTunes supported format. Since we are dealing an iTunes unsupported format, we will only use iTunes to transfer the movies/videos to the device – we cannot play or store the file in iTunes. Now, once you’re ready just follow these simple instructions. After you did all of the above, your movies should be playable on your device. 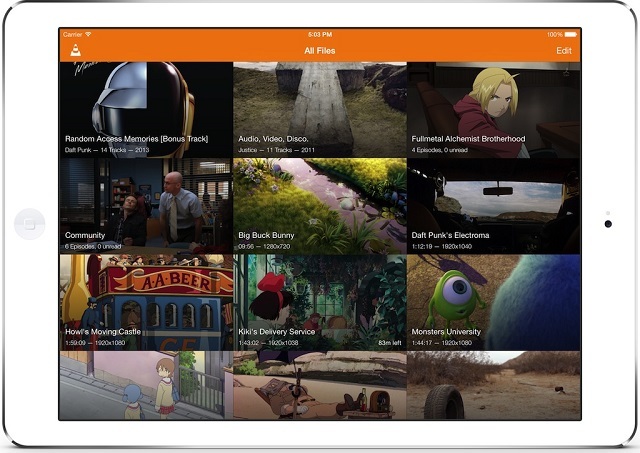 Go on your device, and open the VLC app, it will have a list of your videos and movies in there.